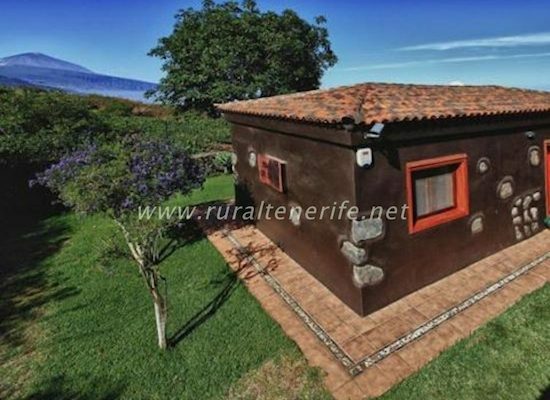 This accommodation in Tenerife North, in fact a traditional Canary house, was built two hundred years ago and is situated on a beautiful estate with wide, rich gardens, a private swimming pool, barbecue area and the most wonderful views of the Atlantic ocean and the majestic Volcano Teide. 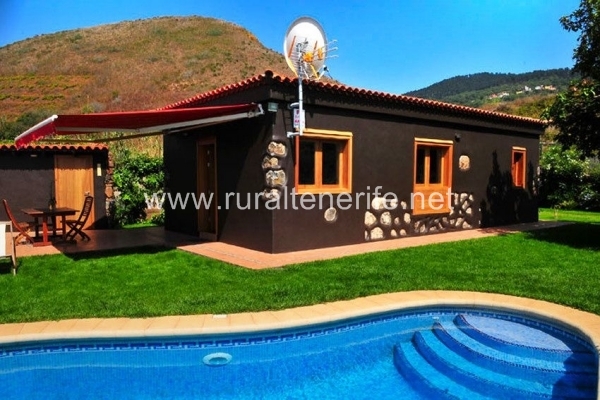 The house has been recently renovated and it is situated in the upper area of the municipality of La Matanza (2 km from the town), in the North of the island, in a beautiful rural area, surrounded by some of the most beautiful green areas Tenerife has to offer. 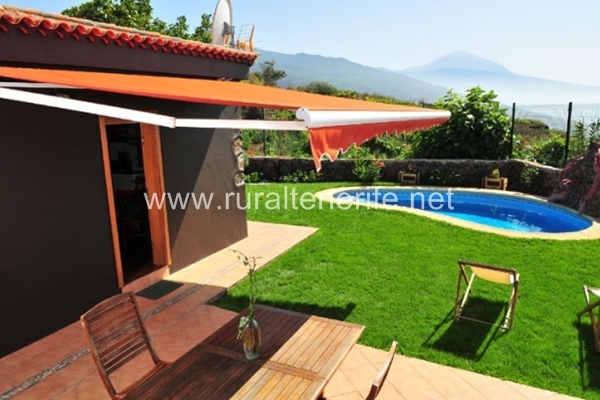 This accommodation in Tenerife North is situated among vineyards and rich, green areas. 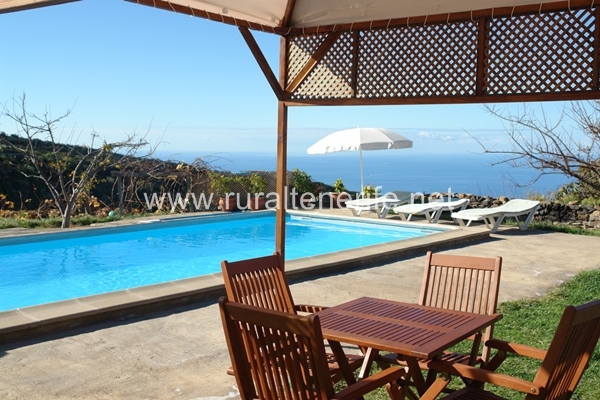 It offers its exclusive location and a unique space in which you can spend some unforgettable days watching beautiful sunsets, the Ocean, hearing birds singing and the comfortable, rural environment of this area. 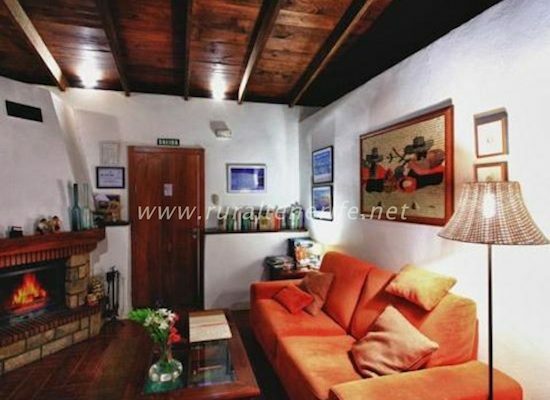 The house consists of a bedroom, a bathroom, cozy drawing room and a fully equipped kitchen. 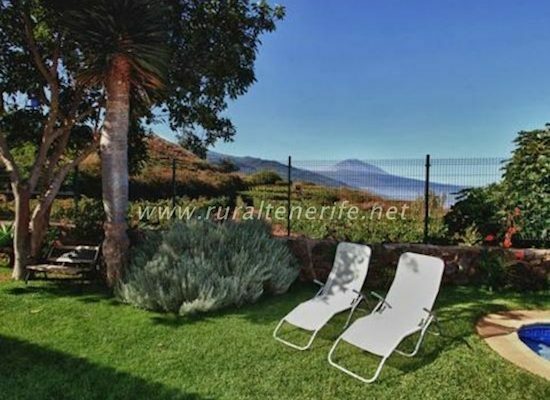 In the outside area, the house has a beautiful garden with a private swimming pool, deck chairs, beach umbrellas, wooden garden furniture and a completely equipped Barbecue area. 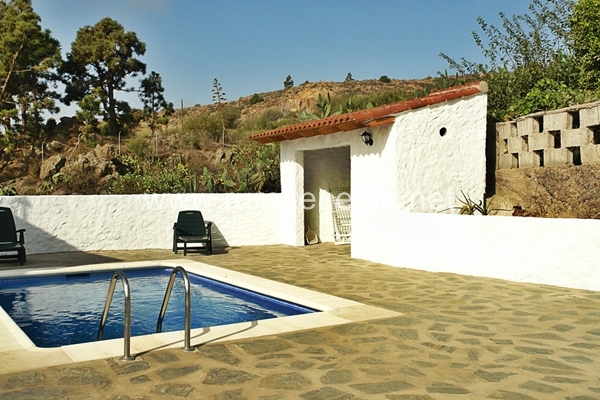 This is truly such a dreamy, wonderful place, perfect for spending your long awaited holidays holidays in Tenerife. 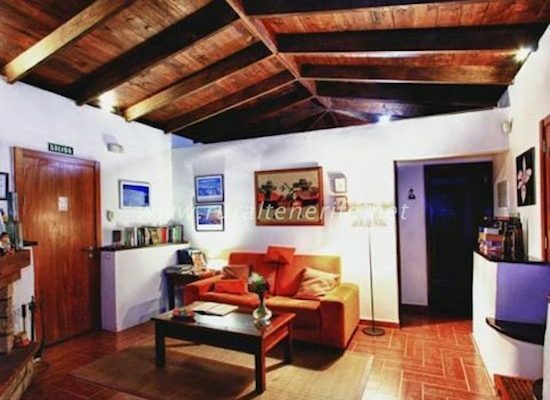 This accommodation in Tenerife Nort is conveniently located near the beach, the city of Puerto de La Cruz and La Orotava. The town of La Matanza is just as beautiful as Los Nateros, it offers a lot of traditional Canary restaurants, located in a natural surrounding where you can taste the signature cuisine of the island, feel the wind blowing through the most beautiful and unique trees and watch the sunset, far away in the West, behind the majestic Atlantic ocean. Check-in time: from 5 pm. Airports transfers available. The town of La Matanza del Acentejo has different tourist places as: Lagar, Barranco de Acentejo and Risco de las Sabinas. 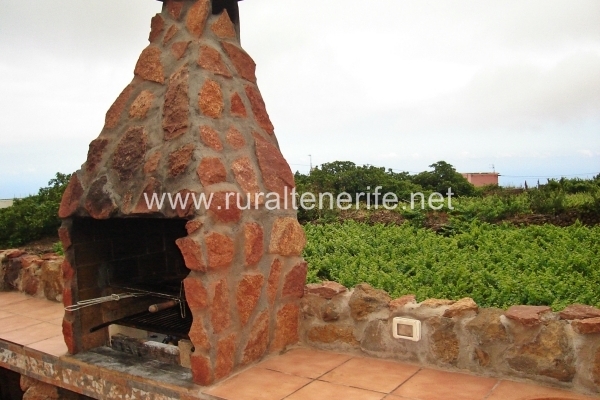 In the area there are lots of traditional Canary restaurants, and many “Guachinches”, traditional bars of the rural area where you can find the more typical Canary food and the best wine of the area. Every Sunday you can go to the “Mercado del agricultor”, a market where farmers sell its products. One bedroom with a king size bed; an equipped kitchen, a living room with a sofa, a bathroom, all household items and bedding, home appliances, TV Satellite with TDT and DVD, a fridge, an oven, coffee maker, hot water, available cot, WiFi. Outside: swimming pool, a beautiful lawn, garden chairs and furniture, BBQ and a parking space. Puerto de la Cruz was the place where tourism began on the Canary Islands. In 1886 in the small port of La Orotava Valley, the archipelago’s first hospital was established to help the travelers in need. It was also the first Spanish resort of Europe. Puerto de la Cruz is a town and city belonging to the province of Santa Cruz de Tenerife, on the island of Tenerife. Here, in Puerto de la Cruz was the place where tourism began in the Canary Islands. In 1886, in this small port of the La Orotava valley, the first sanatorium of the archipelago was established to welcome sick tourists. It was also the first Spanish tourist center in Europe. 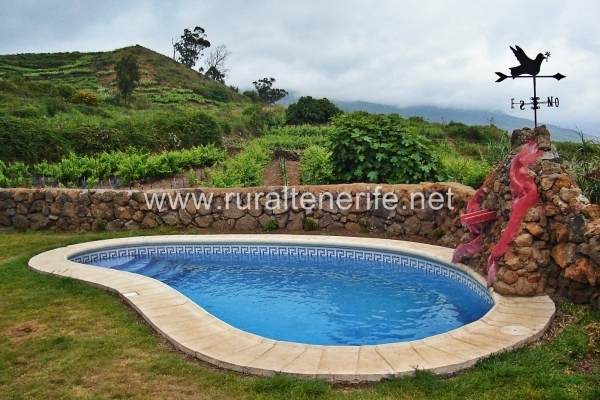 In Puerto de la Cruz you can relax in the pristine natural pools created by volcanic rocks. 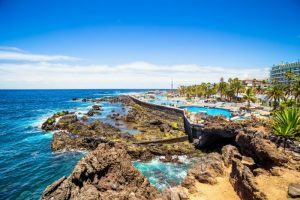 In Puerto de la Cruz you can, in addition to its typical black sand beaches, you can cool off is the great natural pools of crystal clear waters created by volcanic rock. 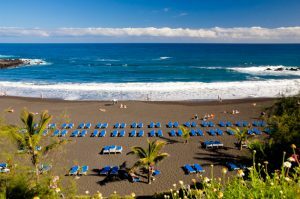 The most famous beaches are Playa Jardín, Playa Chica and Punta Brava.The sports activities to be carried out in Puerto de la Cruz are paragliding, hiking, biking and sports activities.